Hold on to your hair extensions ladies, this is one chap who is gong to give you a run for your money in the voluminous hair stakes! 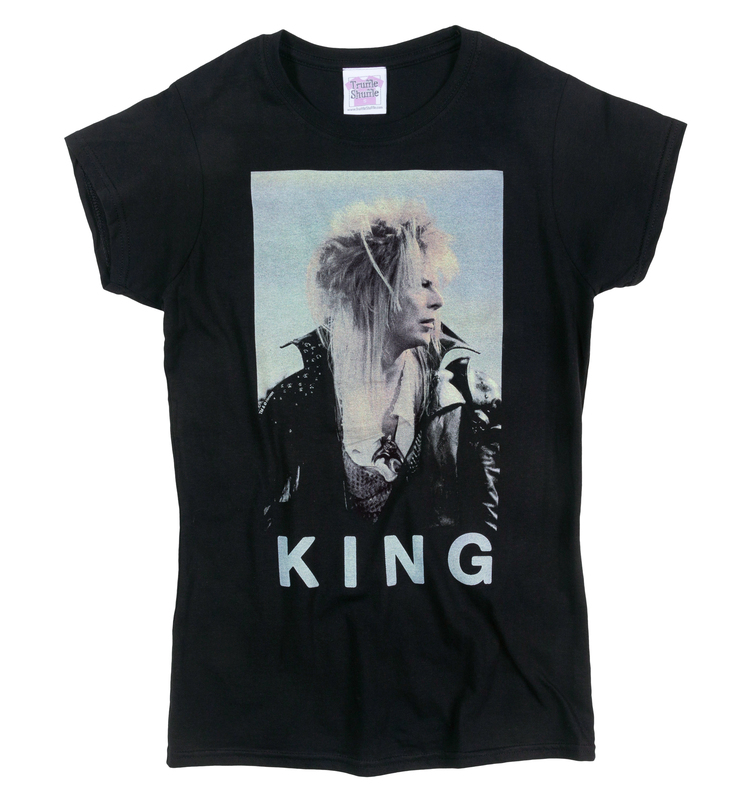 Jareth, The Goblin King, as played by Bowie in the cult movie Labyrinth is yet again the star of the show on this awesome t-shirt! 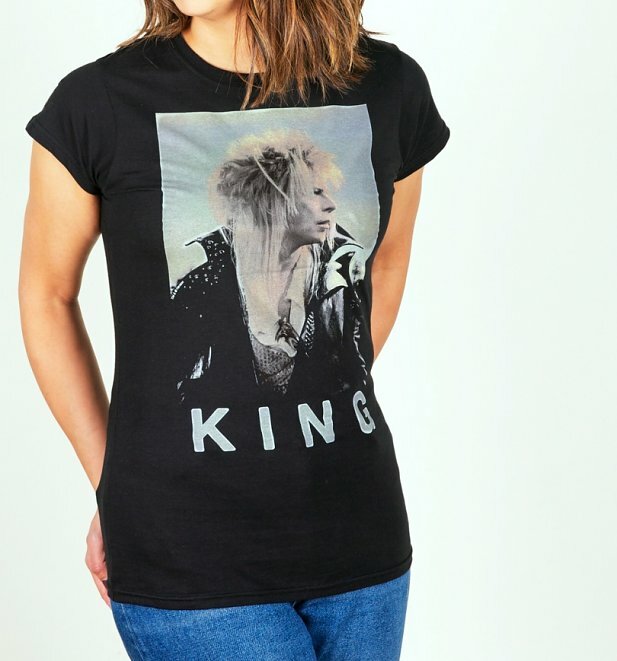 Review: The tshirt is well made, the peint is great, but its not an actual XL - its a large girls size, not a womans XL - Im guessing all the womens tshirts run small, so buy bigger than you need. 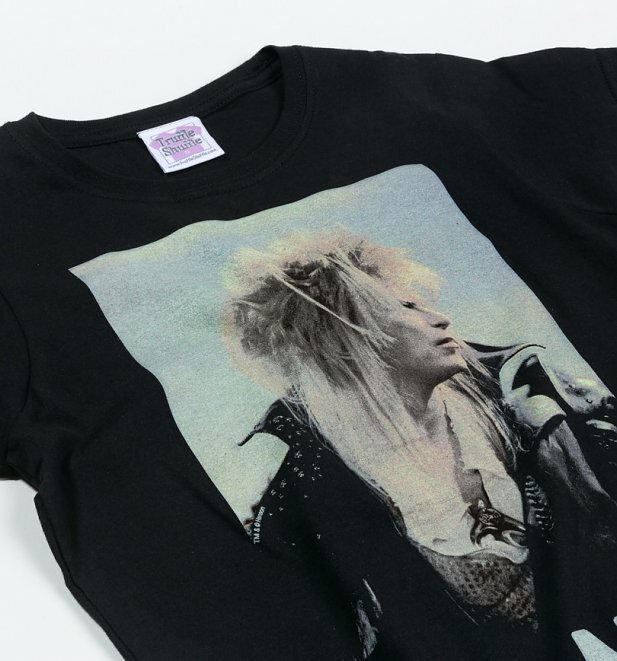 Review: Love the tshirt, it's made a great addition to my growing Labyrinth collection!